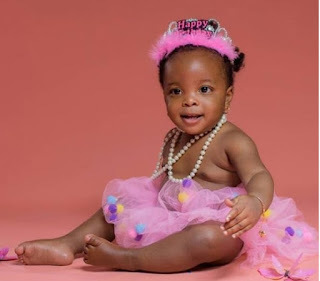 The Fuji star took to social media to celebrate as his daughter, Princess Olasunkanmi Akanke Melissa Ayinde-Marshal turned one today, April 14, 2018. 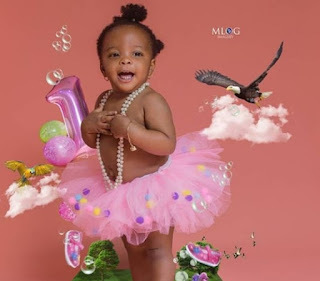 We agree that Akanke looked adorable in the cute photos he shared but the word's that followed, those will warm your heart and bring tears to your eyes. "Far away in Mississauga Ontario here in Canada, I glorify God Almighty that gives me the grace to celebrate your 1st birthday on this planet earth. My precious, Adorable, cutie and Pretty Angel. "Olasunkanmi Akanke Melissa Ayinde-Marshal. Your arrival when you were born in the city of Chicago, this day last year, precisely 14th April 2017 says to us another Angel has come to bless our family. Yes, Akanke you double digit everything same as recorded by those born before you. "The blessings all of you my children brought to this world, says The good Lord is very pleased with this noble family from the Royal lineage of FIDIPOTE RULING HOUSE OF IJEBU-LAND. 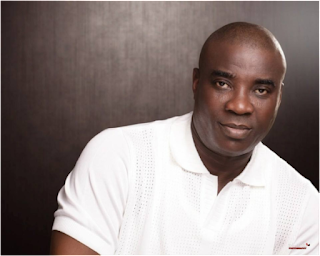 "God Almighty shall keep me alive to see you all through the journey of life as you all Destiny from heavenly father to contribute to the wellbeing of the society & the world you are born into. "From all of your seniors both home and abroad, myself and Titilola Fatia Adufe, your Mom, we all say Happy 1st birthday Meli-Meli our little Baby of the OJUSHAGBOLA DYNASTY." Fatia was delivered of a baby girl in Chicago, United States of America. The couple already shares two daughters before welcoming their third. The 60-year-old dad made the announcement on social media. “To God be the glory, my wife Fatia Opeyemi Adufe Marshal did it again, @ Exactly 11:14pm at St Bernard Hospital in the City of Chicago, State of Illinois, delivered another baby Girl. Mother & child doing very well. Opeyemi a new record has been set by you. Thank you, God Almighty. K1 De ultimate”, he was quoted by City scoop to have texted.